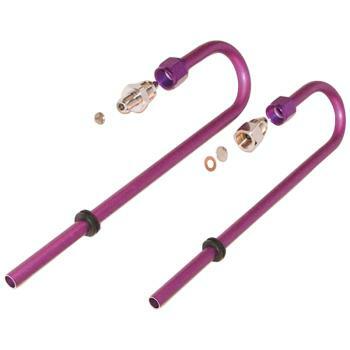 Zex N2O Accessories - Safety Blowdown Tube UNIVERSAL - Lightning Motorsports - Selling Speed since 1996 ! The ZEX Safety Blowdown Kit ensures maximum safety for your nitrous powered hot rod. If your bottle is ever over-filled or over-heated and the pressure safety disk bursts, the dangerous over-pressure will safely vent to the outside of the vehicle. All racetracks require these blow down kits and they are a must for the serious competitor. The ZEX Safety Blow Down Kit is a complete kit that makes installing this important safety item a simple task.